Panadyne Inc is an an AS9100 and ISO9001 registered distributor of high quality specialty raw materials. Started in 2003, we have built upon our foundation in Ceramics Engineering as well as our 35 years of experience in the technical ceramics industry to provide material solutions to all of our customers. 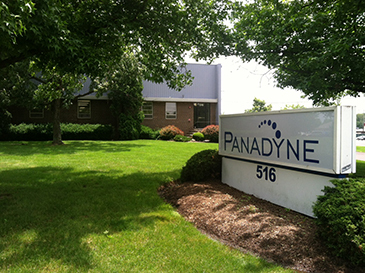 Located in Montgomeryville, PA and with a fulltime overseas presence, Panadyne Inc has an extensive worldwide distribution and sourcing network, allowing us to supply the highest quality powders and abrasives to the technical ceramics, coatings, and surface finishing industries. Our primary material specialties include silicon carbide, boron carbide, calcined alumina, white and brown aluminum oxide as well as industrial diamond. Supplementary, we also offer other specialty materials including cerium oxide, silicon metal and hexagonal boron nitride. Our materials are available in both micro and macro sizing. If you have special sizing or chemistry requirements, we have the ability to provide both custom particle sizing and custom chemistries as needed. We also offer other value added solutions to your product needs through custom packaging, shipping, and logistical management. All of our materials are certified by our in house lab as well as verified by outside labs. This ensures the materials meet the specific stringent requirements of each of our customers. If you are in one of the typical markets we serve, technical ceramics, polishing compounds, fillers for epoxies and resins, wiresaw, armor, friction applications, abrasives , refractories, or raw materials, let our expertise help you solve your material needs. If you are exploring new and exciting advancements in material applications, please allow us to help you along the way.